When Chinese car company Geely purchased Volvo back in 2010, there was some concern that the Swedish automaker would lose its way. Turns out the complete opposite happened. 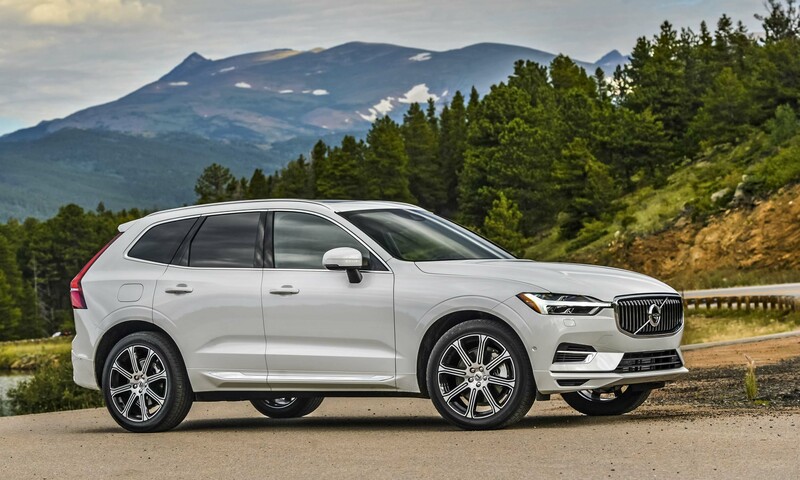 Since then Volvo has embraced its safety roots and introduced many stylish, well-built sedans, wagons and SUVs — the latest being the all-new XC60. Even though it competes in the tough premium crossover segment, the XC60 can certainly hold its own. “We have a strong heritage in designing stylish and dynamic SUVs that offer the latest in technology. The new XC60 will be no exception. 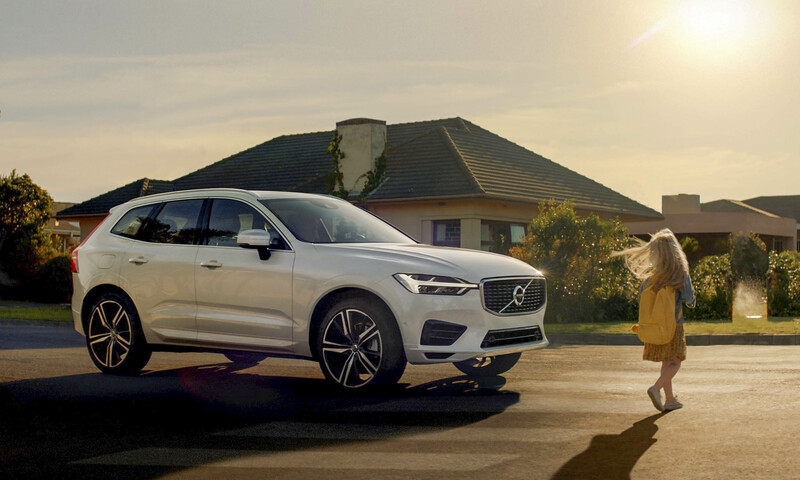 It’s the perfect car for an active lifestyle, and it represents the next step in our transformation plan,” said Hakan Samuelsson, president and chief executive of Volvo Car Group. The 2018 XC60 is the first of a few new 60 Series models coming from Volvo — an S60 and V60 will likely follow soon. Built on the brand’s new Scalable Product Architecture, the 5-passenger XC60 is longer, wider and lower than the previous generation, which not only gives the new model a roomier interior — almost two more inches of rear-seat legroom — but also a more aggressive stance and better driving dynamics. 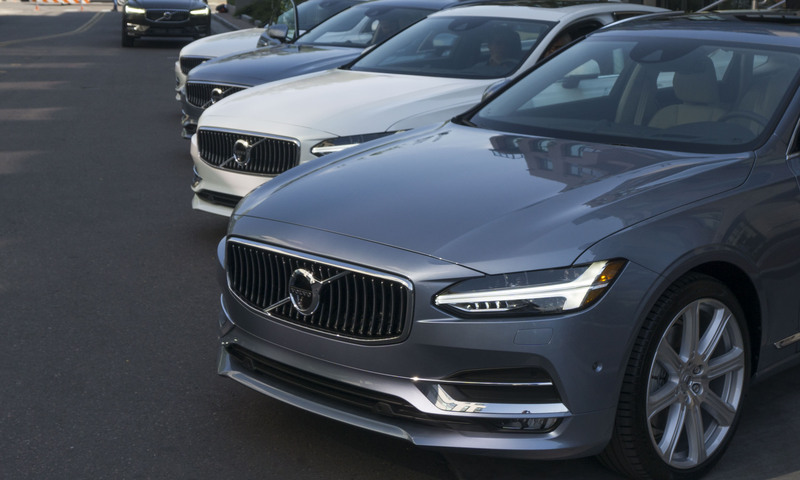 Styling is now in line with the rest of the newer Volvos, with the signature “Thor’s Hammer” headlights and large Volvo logo in the grille. In many ways the XC60 is a smaller version of the popular XC90. 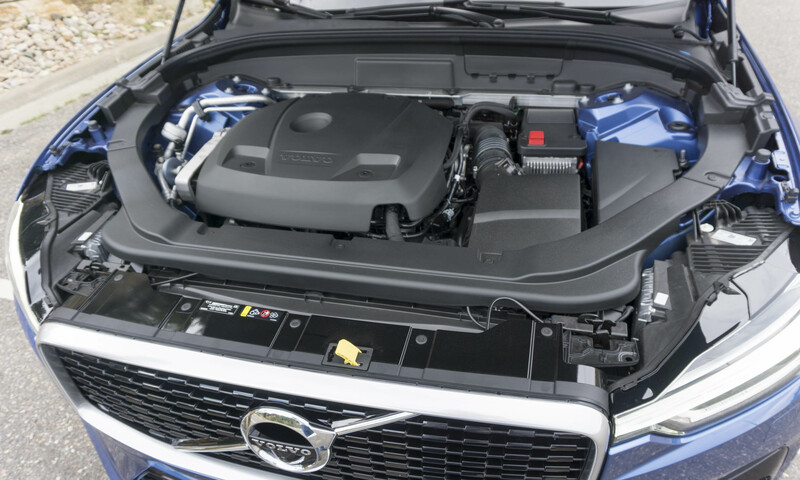 With the 2018 XC60, Volvo takes an interesting approach regarding engines and features — all match what’s available in the larger XC90. 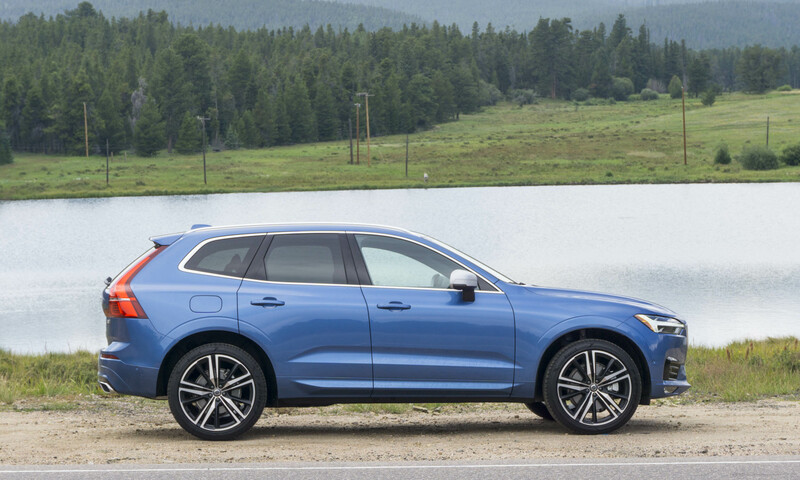 Rather than make the XC60 a lesser vehicle in terms of features and packaging, the XC60 is simply smaller with the same level of equipment and performance as its larger sibling. 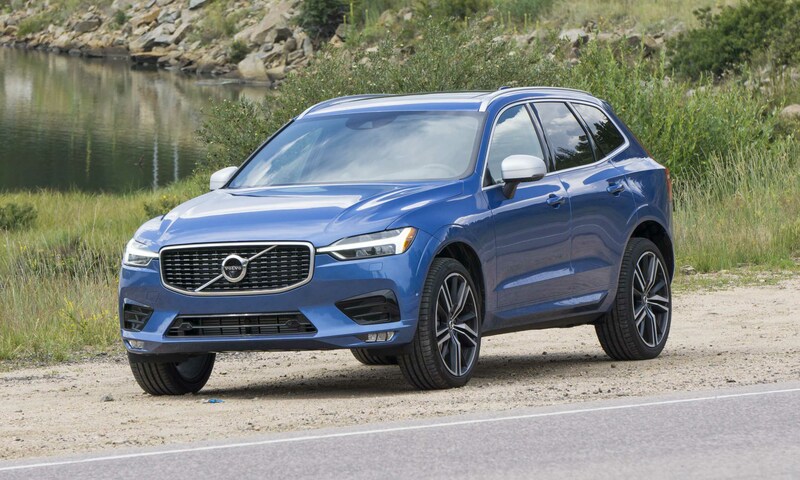 Like the XC90, the Volvo XC60 is available in three trim levels — Momentum, R-Design and Inscription — each available with a choice of three engines. The XC60 Momentum has a starting price of $41,500. 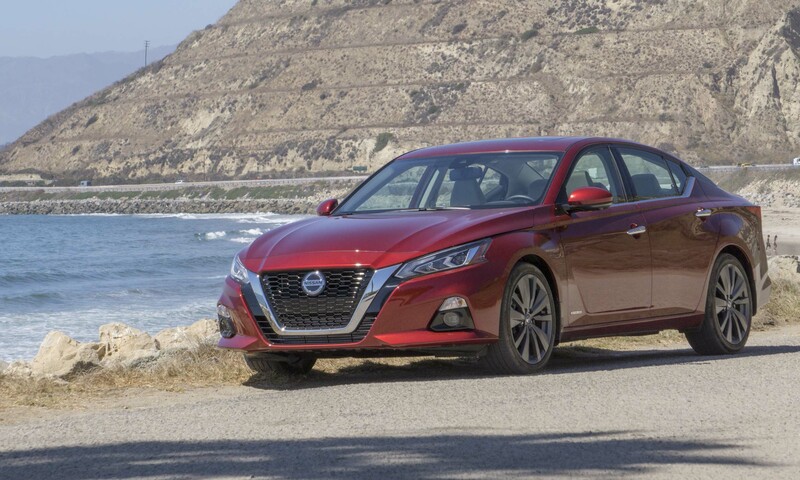 Standard equipment is plentiful, including leather trimmed power front seats, dual-zone climate control, a rearview camera, a power tailgate, a high-end 330-watt audio system with 10 speakers, a 9-inch touchscreen display, Bluetooth connectivity, and smartphone integration with Apple CarPlay and Android Auto. The Momentum also features a panoramic moonroof, integrated roof rails, signature “Thor’s Hammer” LED headlights and 18-inch alloy wheels. 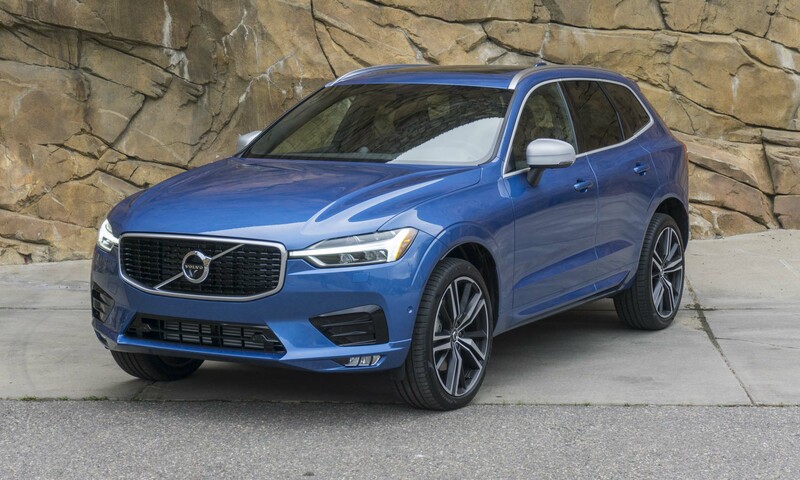 With a starting price of $44,800, the XC60 R-Design upgrades the Momentum with leather sport seats, a black headliner, drive mode settings, paddle shifters, keyless entry, hands-free tailgate operation and a 12.3-inch driver display. The R-Design is easily recognizable from the exterior with a gloss-black mesh grille, integrated tailpipes, LED front fog lights and 19-inch alloy wheels. 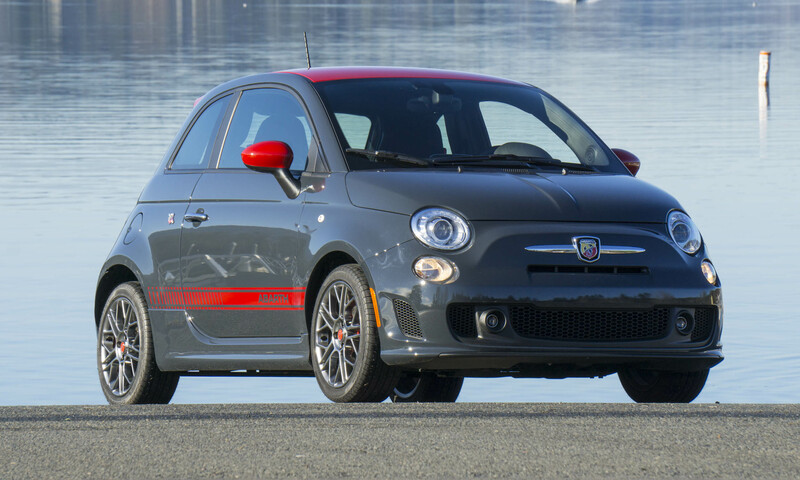 Where the R-Design leans toward the sporty, the Inscription is more about luxury. 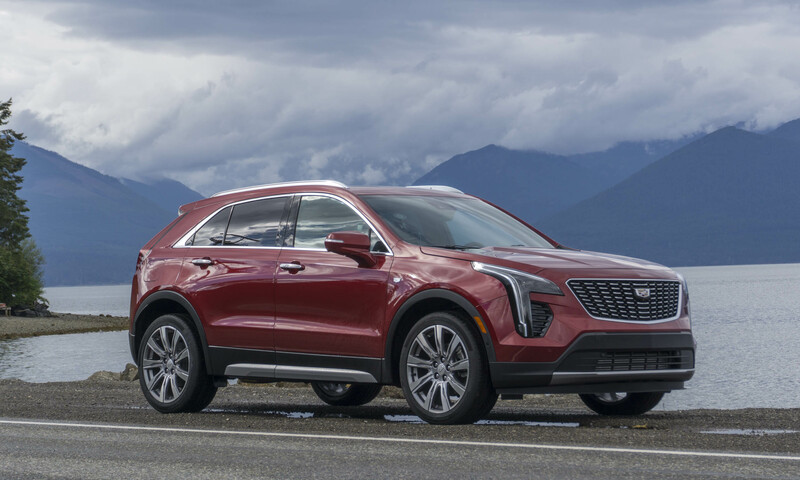 This top-level trim starts at $45,300 and gets 4-zone climate control, driftwood inlays, a cooled glove box, high-level interior illumination, 19-inch wheels and bright chrome bars in the grille. Not surprisingly, all Volvo XC60 trims feature the latest in high-tech safety equipment. This includes low and high-speed collision mitigation; pedestrian, bicycle and large animal detection; lane-keeping aid, run-off road mitigation and protection; and automatic braking after a collision. Not all safety features are standard — Volvo offers rear collision warning with braking, blind spot alert with steering assist, cross traffic alert and adaptive cruise control with semi-autonomous driving as available features. These items are available on all XC60s but are dispersed among the Vision Package and Convenience Package. As with other recent Volvo models, the XC60 feels like a premium vehicle inside regardless of trim level. 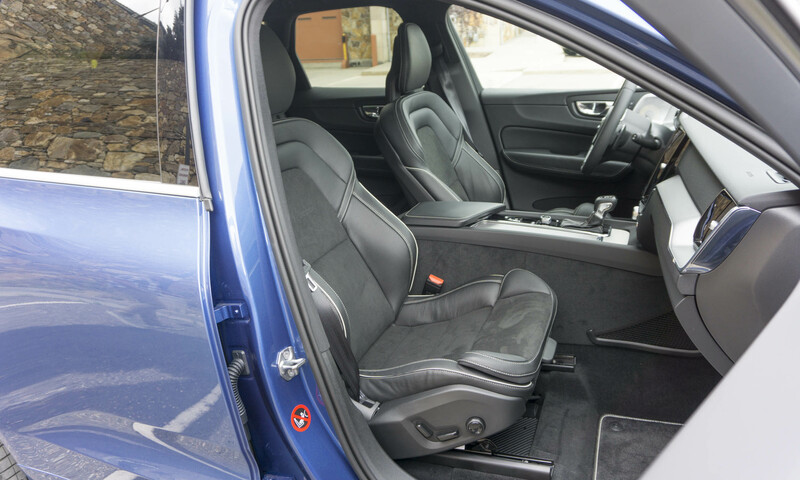 Seat comfort is among the best on the market, and side bolsters keep occupants snug without feeling cramped. The bolsters seem more pronounced on the sport seats in the R-Design, but on closer inspection that impression seems to be based on a difference of materials. 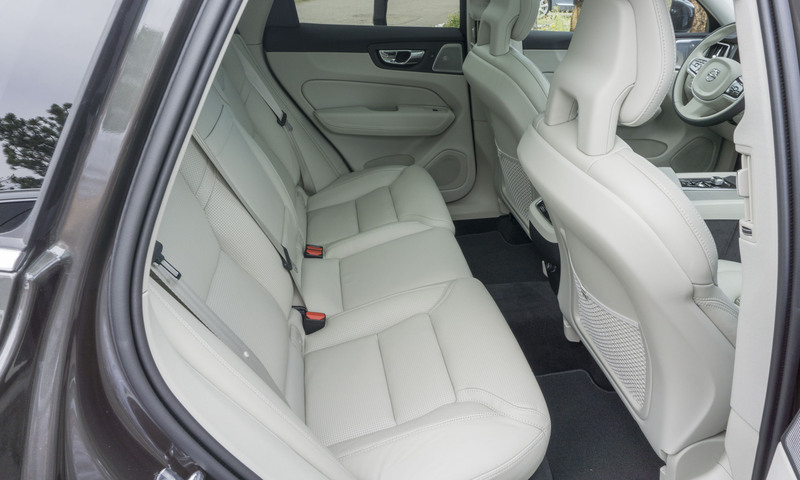 Rear seats offer a decent amount of room, and the center rear seat of the XC60 feels wide enough for most passengers to use without feeling too claustrophobic — a statement that cannot be made about most rear seats in crossovers of this size. Inscription trims also are available with their own rear-seat dual-zone climate controls, as well as heated outboard seats. 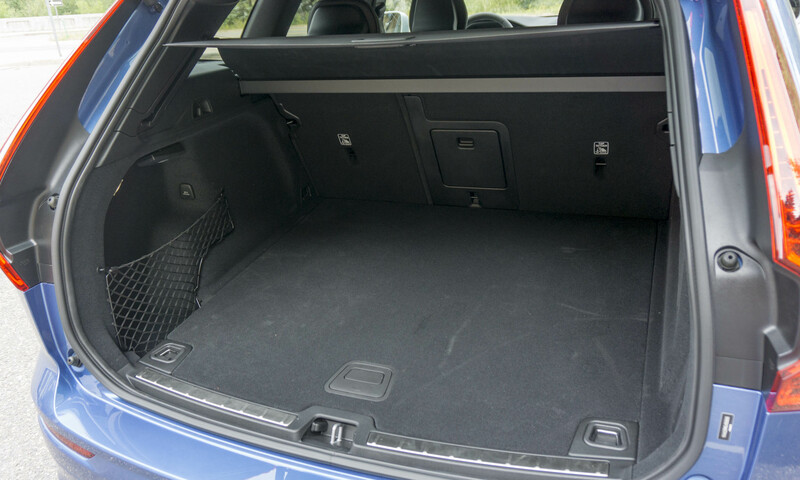 The 2018 XC60’s cargo area is quite spacious — easily capable of carrying multiple pieces of luggage or other cargo. Rear seats can be folded flat for increased space and versatility. A standout feature is the multi-setting cargo cover — enabling taller items to remain hidden from the prying eyes of passersby. 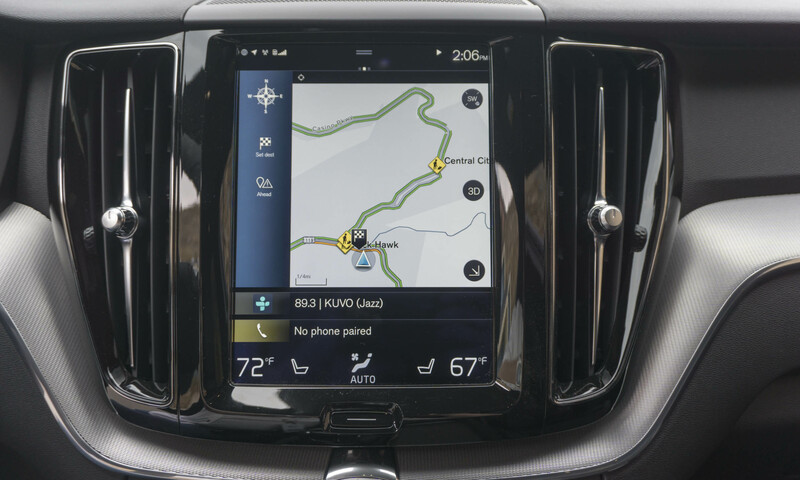 The most attractive new tech feature in the latest Volvo models is a large 9-inch vertical Sensus Touchscreen in the center console. 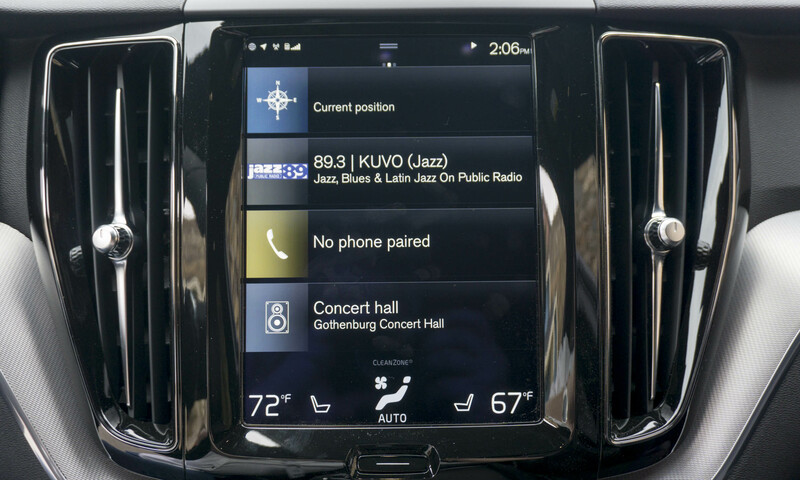 Standard on all XC60 trims, the screen can display navigation, media, phone and other information simultaneously, which is a nice plus and something that can’t be done with most standard displays. The screen can be swiped to dig into menu items such as alert settings and other setup features. Almost all controls are digital, except for defrosters, volume and a few audio controls. The system works well and has quick response, and while it does take a while to get comfortable with the format, most controls are intuitive. However, we still prefer a knob for audio tuning and temp changes; any temp adjustment requires touching the temp readout, which reveals a scale of temps from which to choose. We also had some issues when selecting smaller items on the screen; the screen sometimes detects unsteady fingers as a swipe instead of a selection, which can get annoying. Volvo offers the XC60 with three powertrain options. 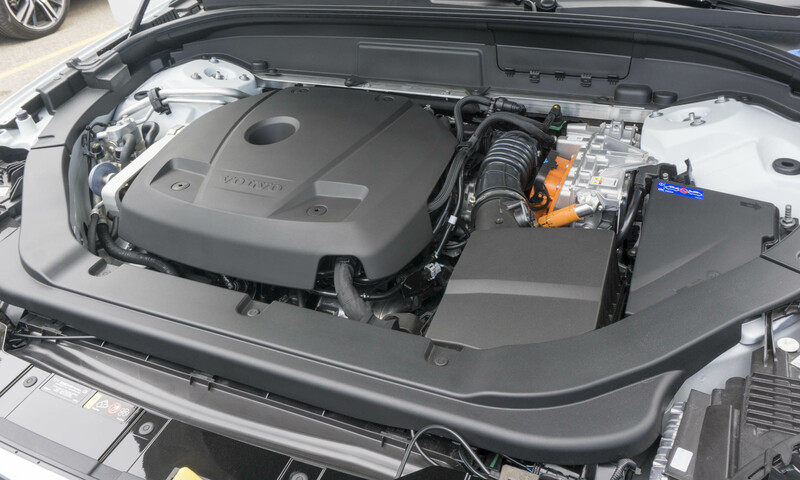 The standard unit is a 2.0-liter turbocharged 4-cylinder engine that produces 250 horsepower and 258 lb-ft of torque. 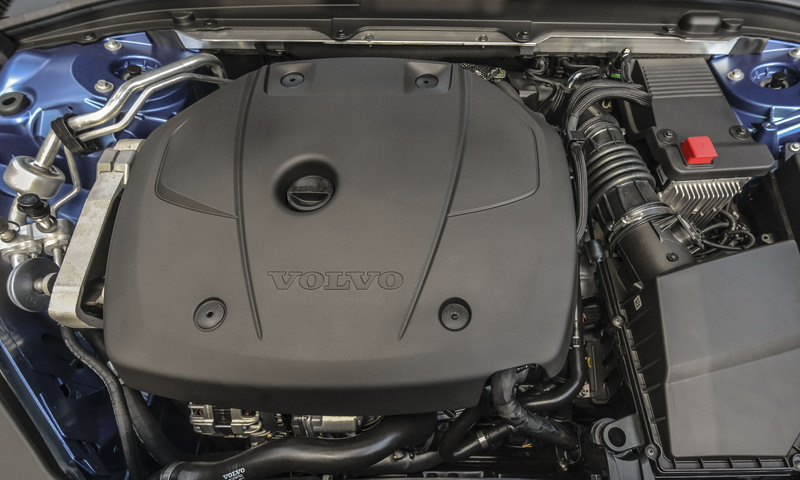 This engine motivates the XC60 T5 and delivers 22 mpg in the city, 28 on the highway with a rating of 24 mpg combined. Volvo claims the XC60 T5 can reach 60 mph in 6.4 seconds and has a top speed of 140 mph. 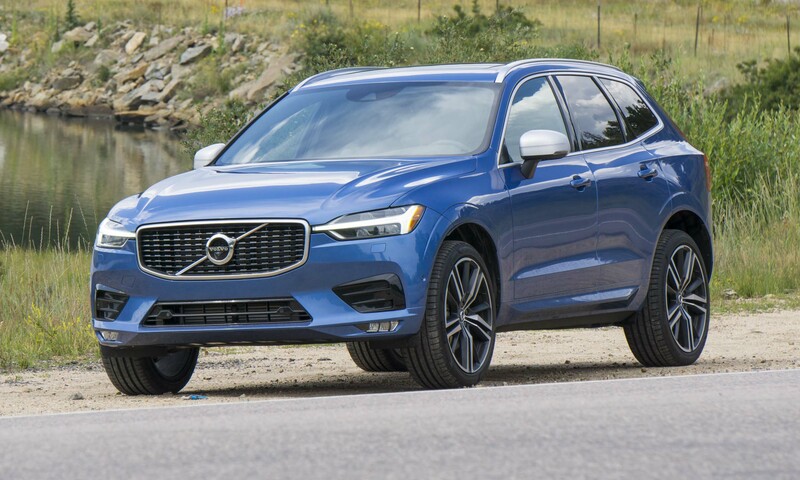 The XC60 T6 features a 2.0-liter 4-cylinder engine that is both turbocharged and supercharged for a total output of 316 horsepower and 295 lb-ft of torque. Fuel economy numbers drop by just 1 mpg compared to the lesser-powered T5 engine, while 60 mph is achieved in 5.6 seconds. The T6 costs an additional $3,400. 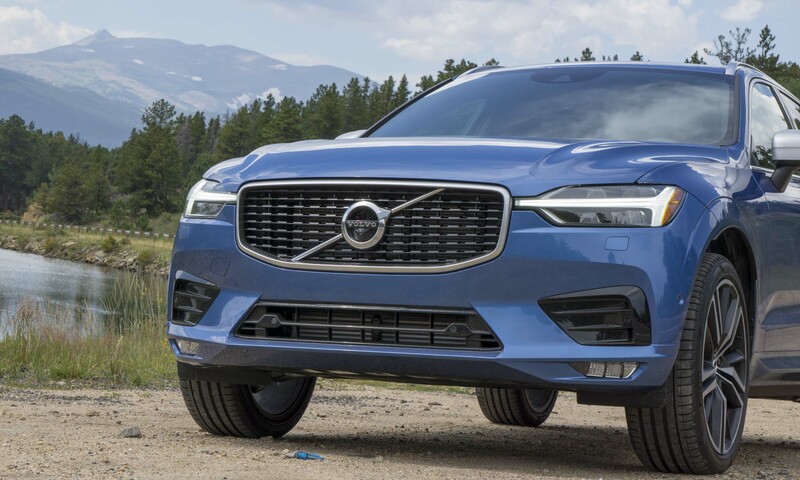 The most powerful XC60, the T8 combines the 2.0-liter turbocharged and supercharged engine of the T6 sending power to the front wheels, while an electric motor powers the rear wheels. 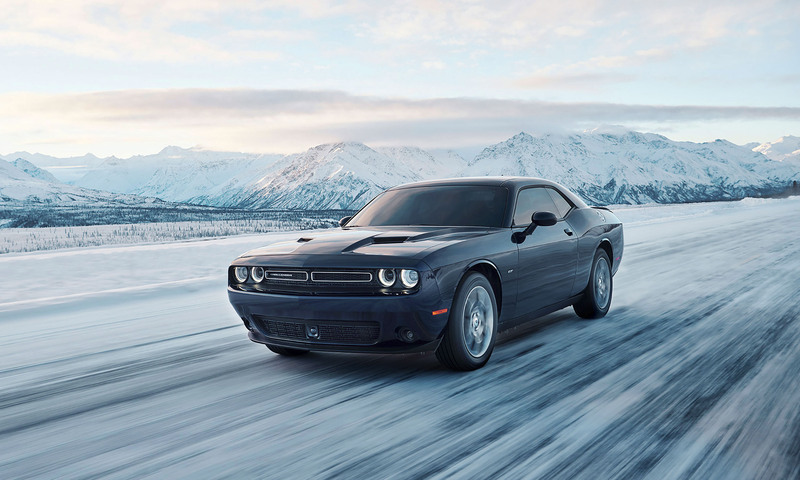 The two power sources combine to deliver up to 400 horsepower and 472 lb-ft of torque. 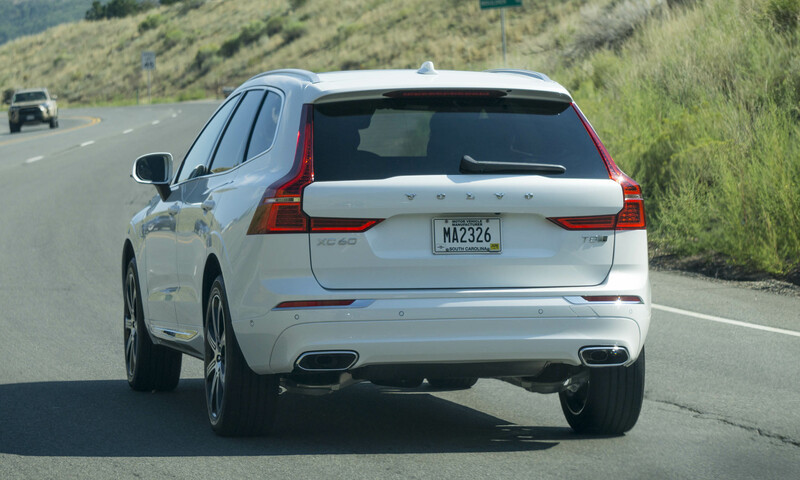 Acceleration is impressive — the XC60 T8 can reach 60 mph in less than 5 seconds. The EPA rates the T8 at 59 MPGe when operating in electric mode, then 26 mpg combined when operating as a hybrid. The T8 can also be plugged in, and with fully charged batteries can travel up to 18 miles on electric power only. 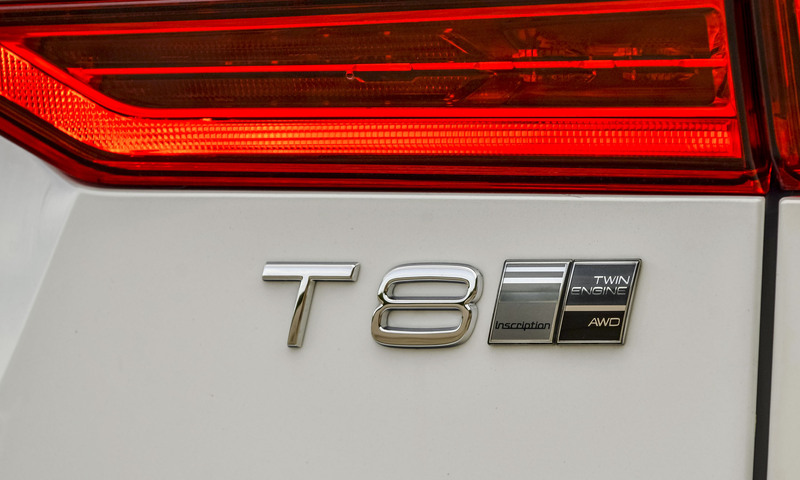 The T8 powerplant adds $8,000 to the price of the T6; however, the hybrid is eligible for a federal tax credit of around $5,000 as well as a state tax credit depending on where the car is registered. All three powerplants get teamed with an 8-speed automatic transmission. 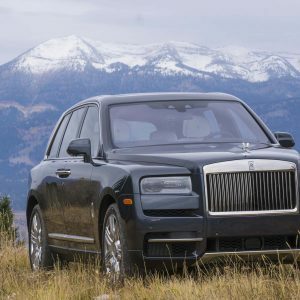 Full-time all-wheel drive is standard for the North American market. The all-wheel-drive system directs all power to the front wheels in normal conditions, but can direct up to 50% of power to the rear. At a standstill, all-wheel drive is fully engaged for the best traction during acceleration from a stop. 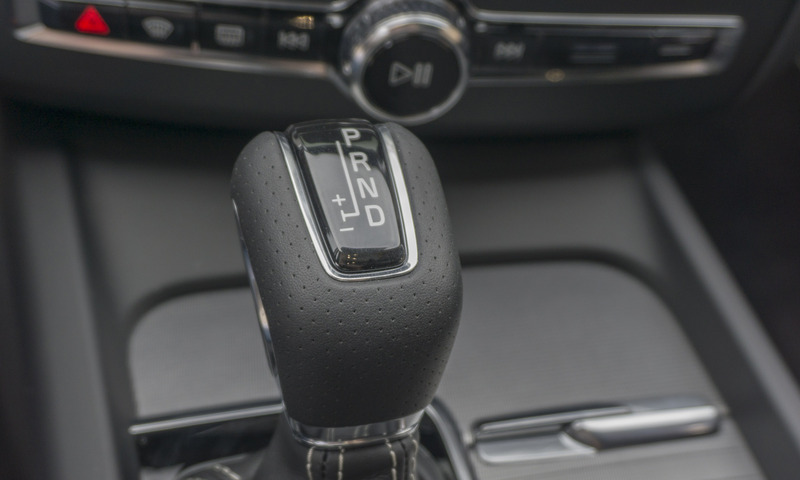 Volvo provides drivers with the ability to change the driving characteristics via a Drive Mode switch in the center console. For the T5 and T6 powertrains, the choices are Comfort (default), Dynamic, Eco, Off Road and Individual. For more spirited driving, Dynamic changes engine, gearbox, accelerator, steering and brakes for quicker response to inputs. This also makes the supercharger more responsive on the T6, and the start/stop function is disabled. Eco does the opposite, setting everything for the lowest emissions and fuel consumption. Off-Road can only be used at speeds below 25 mph and sets up the steering and all-wheel-drive system for better handling and traction on rougher terrain. 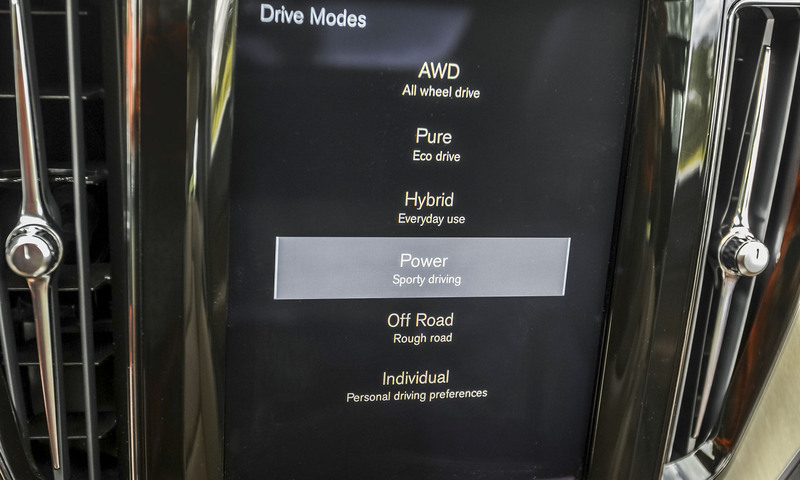 Individual allows the driver to go into the menu system and choose each of the attributes — you guessed it — individually. The hybrid-powered XC60 T8 offers different modes not available with the other powertrains. Hybrid mode is the default, but if the batteries are charged the driver can select Pure mode. 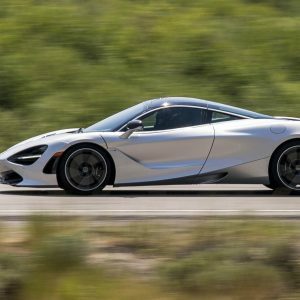 Pure prioritizes use of the electric motor only, but to do this the climate control is set to Eco, performance is limited and top speed is 78 mph. 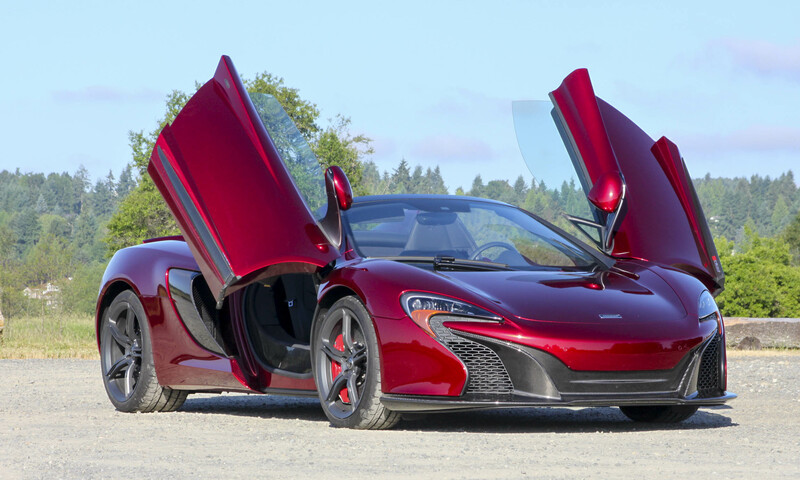 The gasoline engine will come on if speeds exceed 78 mph, or if the driver demands more power via the throttle. Hybrid mode uses the electric motor or gas engine when appropriate; Power mode uses both simultaneously for maximum power and traction. This also turns stability control off and sets steering and braking to Dynamic mode. 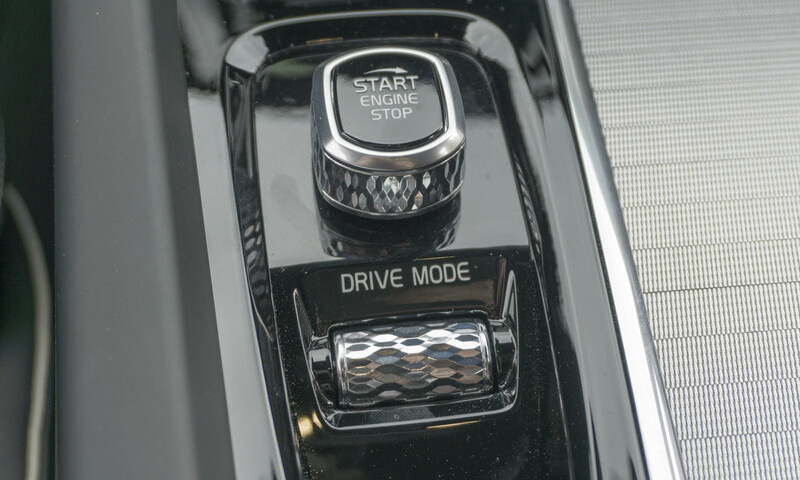 An AWD mode is available for slippery conditions, distributing power to all four wheels all the time. The T8 also offers an Off-Road mode for those feeling a bit more adventurous. 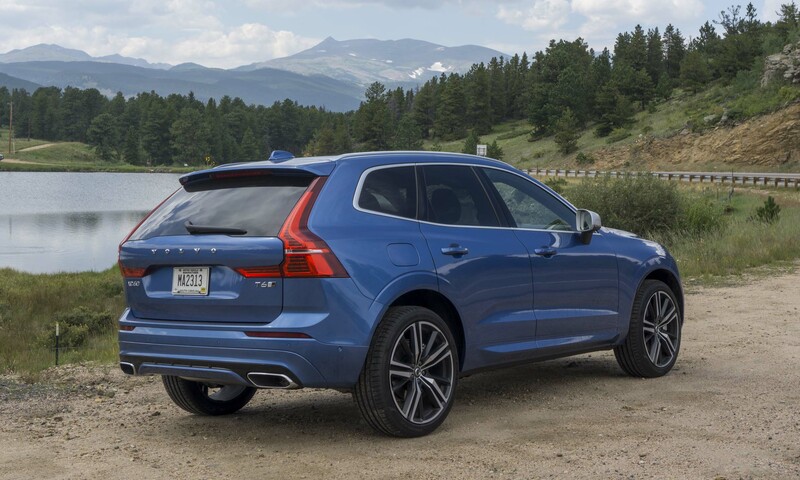 We had the opportunity to drive the XC60 on some beautiful roads outside Denver, Colorado. Right from the outset, the XC60’s quiet ride impressed us, even when the road surface became less than stellar. With either the T6 or T8 powertrain (we didn’t have the opportunity to test the T5), there’s plenty of power to handle most situations. 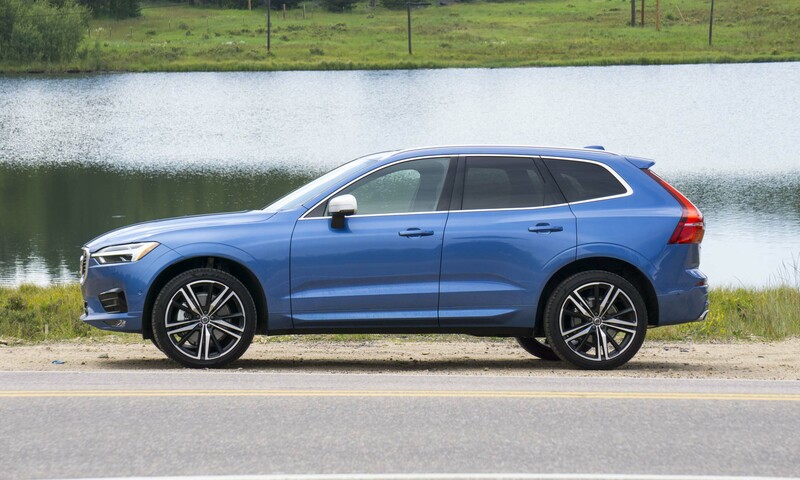 Although we wouldn’t refer to the XC60 as being sporty, it handled the twisty mountain roads well and feels tighter and better planted than its predecessor. The transmission shifted quickly, downshifting smoothly as needed when climbing steep mountain roads. We did try the paddle shifters on the R-Line but found the delay in shifting to be a bit frustrating. That said, the gearbox shifts well enough on its own, making the paddle shifters somewhat unnecessary. Despite the T6’s plentiful powerband, the added oomph from the hybrid T8 is certainly welcome. 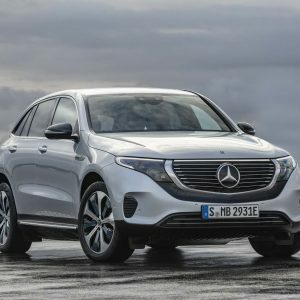 Acceleration is strong, especially in Power mode, but we found that leaving the mode set to Hybrid meant we had power when needed, but the XC60 was much more efficient when simply cruising. 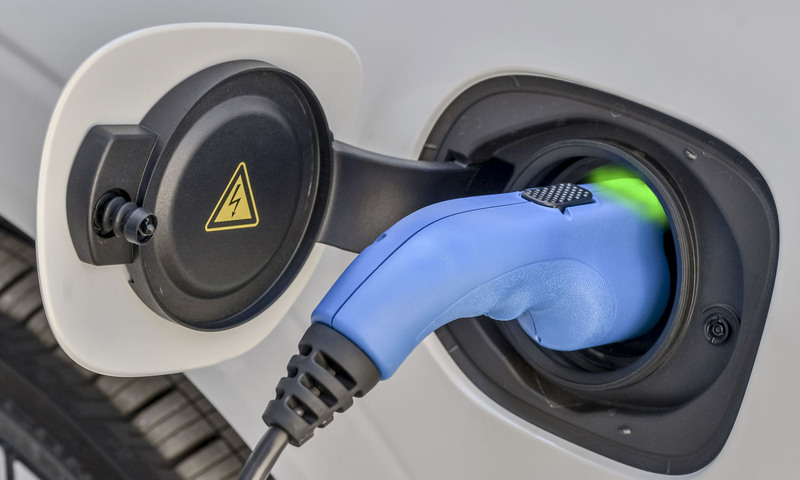 A power gauge indicates the throttle needed to stay in electric mode – too much throttle and the electric-mode threshold gets exceeded, bringing the gas engine online. With a full charge, the XC60 is easily kept in electric mode with normal everyday driving until the battery is depleted. As with many hybrids on the road, the brakes on the T8 are designed to capture energy and recharge the batteries whenever possible. 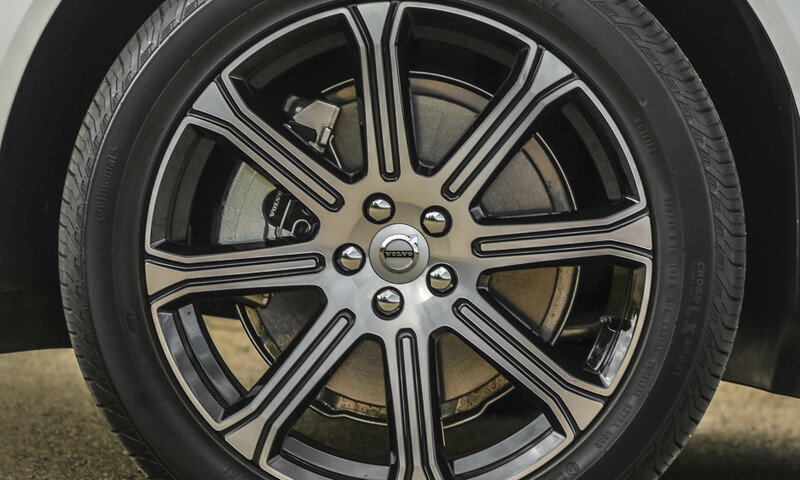 Unfortunately, the brakes constantly grab more quickly than expected, and even after considerable time behind the wheel we still found them difficult to modulate and operate smoothly. We didn’t have the opportunity to take the XC60 off road, and frankly most owners would never leave the pavement. 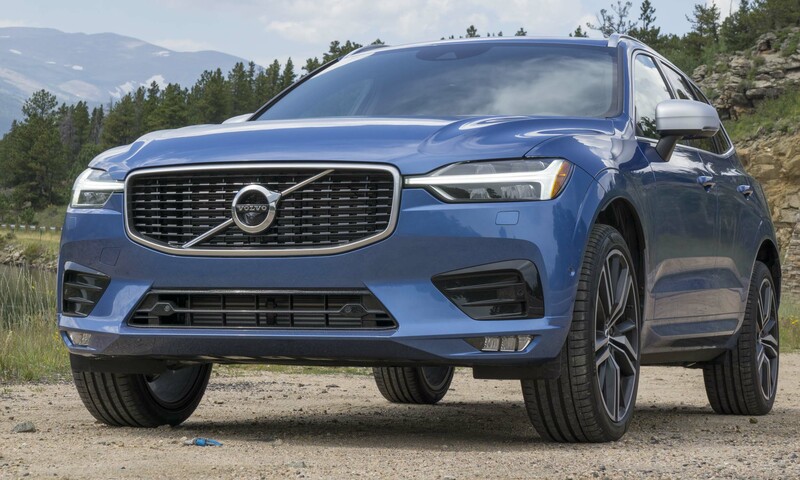 However, based on our experiences when taking other Volvos off road, the XC60 — with its 8.5 inches of ground clearance — should handle itself with aplomb if the need arises. 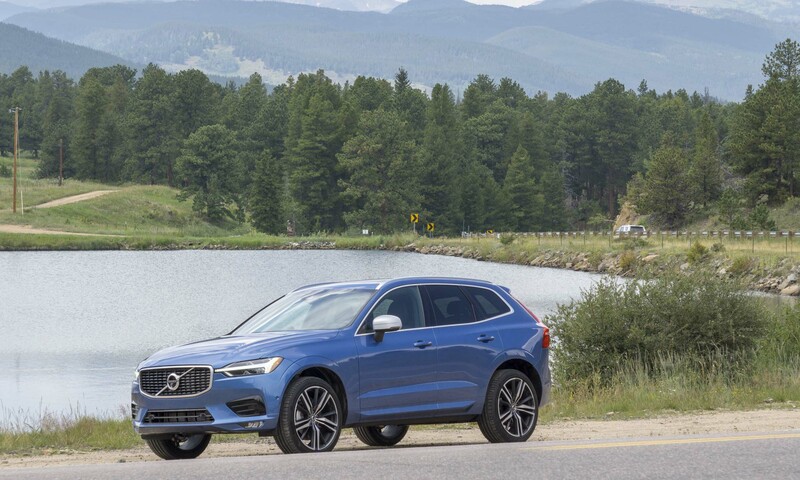 The premium 5-passenger crossover market now contains a plethora of great options, but the Volvo XC60 stands out from the crowd in many ways. 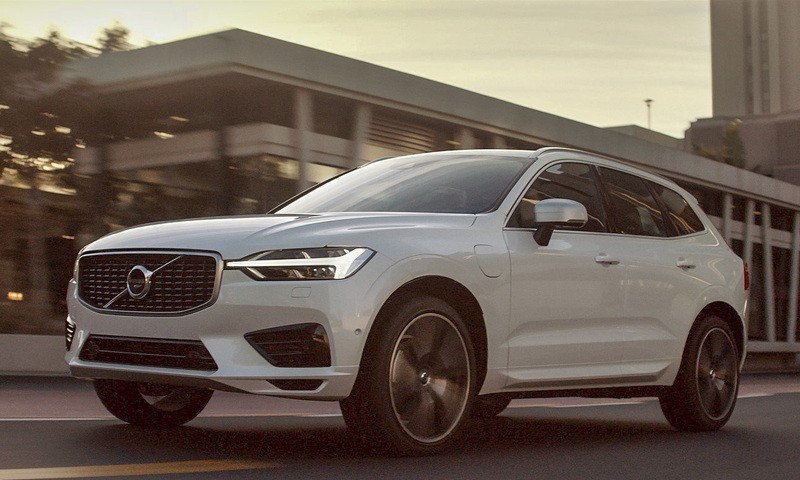 Thanks to its unique styling, the XC60 won’t be mistaken for any other crossover, and the upscale interior is comfortable, spacious and extremely quiet. The T6 and T8 offer plenty of power and fine handling, with the hybrid underscoring the entire package with great fuel economy. 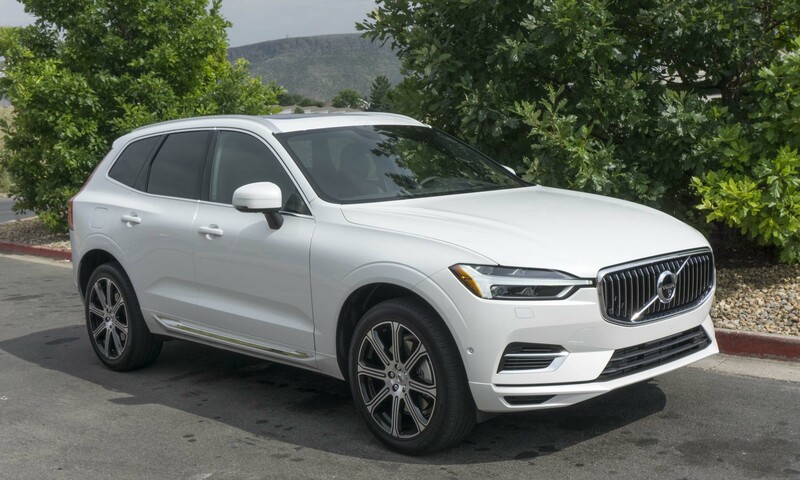 If you happen to be looking for a premium crossover with impressive performance, attractive styling inside and out, the latest in safety technology and a smooth, comfortable ride, the XC60 is certainly worthy of consideration. Pros: All powertrains available on all trims; high-tech safety features; standout styling. Cons: Advanced safety requires multiple packages; almost complete elimination of hard button controls; grabby brakes on T8. Bottom Line: Style and safety in a nice-sized Swedish package.